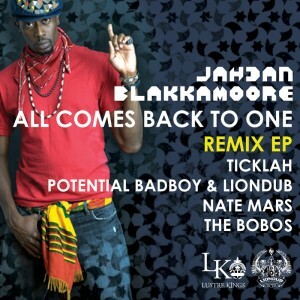 Lustre Kings Productions and LionDub International proudly present the first remix EP taken from Jahdan Blakkamoore’s new album, Babylon Nightmare. 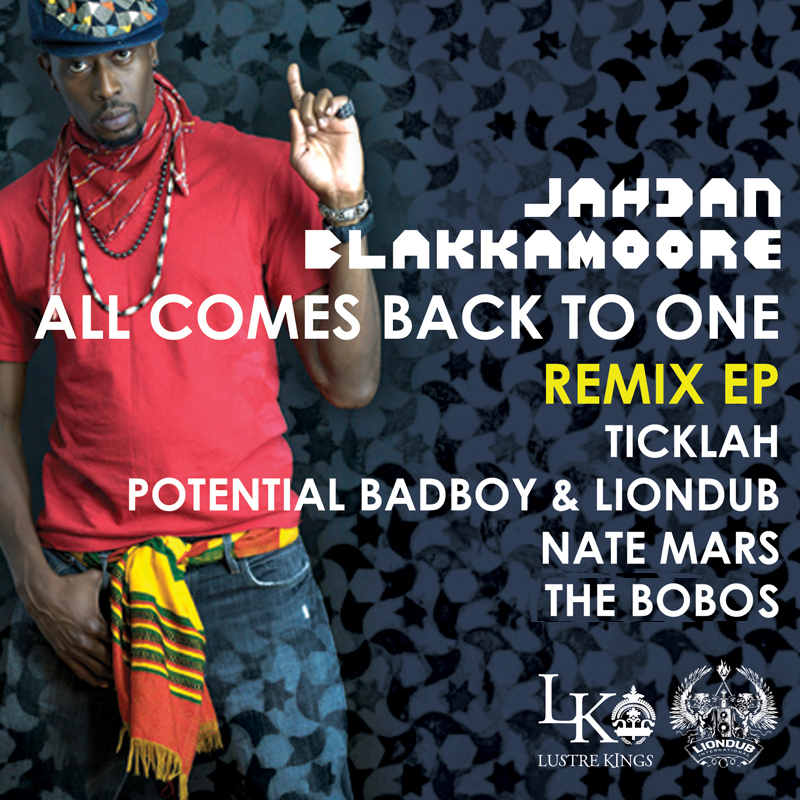 Featuring remix versions of the hit single, “All Comes Back To One”, the All Comes Back To One – Remix EP adds a fresh, exciting chapter to one of the most widely acclaimed reggae albums in recent times (Fader, OkPlayer, All Music Guide, Montreal Mirror) with remixes from Nate Mars (Buzzrock Warrior), Potential Badboy, LionDub, Nick Fantastic and Ticklah (EasyStar) who bring forward an inspired mix of energetic genres—dubstep, drum & bass, one drop, nu-soul. The Nate Mars’ (Concentric Circles/Buzzrock Warrior) produced massive dubstep remix is sure to make any club pulse with its ethereal rhythm. The Drum & Bass version delivered by Potential Badboy and LionDub feels epic and soulful, while putting you in a trance with its horns splashes and fast paced drum fills. A straight up one-drop, modern roots composition blares through the speakers from long time collaborator Nick Fantastic and his new personae with Jimmy McGerald on The BoBos version, gunning straight for Caribbean music fans everywhere. The surprise attack comes through viscerally and gracefully from Ticklah (Easy Star) with his kette drum driven, heavy vibe track accented with rich chord changes and lush analog synths. Jahdan’s haunting voice and deft lyrics fill the space on each of these progressive productions while the producers respectfully add to Jahdan’s sublime performance, creating a unique and moving piece of modern music. Indeed, modern but deep-rooted; vibrant but gritty, these tracks have both feet firmly planted on the city streets while taking you around the world and even reach for the stars.